Faithful Stewardship – Luke 12:35 Be dressed in readiness, and keep your lamps lit. This blog is dedicated to the study of the Bible from a Christian perspective. It is my sincere desire that this blog will not only inform but inspire you to grow in your walk with a living Savior, Jesus Christ. If you do not know Jesus I pray you take the time to learn about Him by reading His Word, the Bible. The whole of Scriptures is about Jesus Christ. The Old Testament is about God’s Promise to redeem mankind, by sending His Son, Jesus, as the atoning sacrifice. The New Testament is about the fulfillment of that promise, the Gospel of Jesus Christ. It ends with another promise, that Jesus is coming back for His Church. 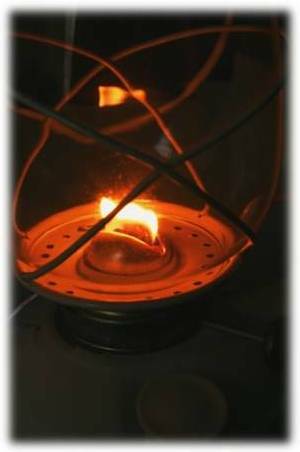 Luke 12:35-44 (NASB) “Be dressed in readiness, and keep your lamps lit. Be like men who are waiting for their master when he returns from the wedding feast, so that they may immediately open the door to him when he comes and knocks. Blessed are those slaves whom the master will find on the alert when he comes; truly I say to you, that he will gird himself to serve, and have them recline at the table, and will come up and wait on them. Whether he comes in the second watch, or even in the third, and finds them so, blessed are those slaves. “But be sure of this, that if the head of the house had known at what hour the thief was coming, he would not have allowed his house to be broken into. You too, be ready; for the Son of Man is coming at an hour that you do not expect.” Peter said, “Lord, are You addressing this parable to us, or to everyone else as well?” And the Lord said, “Who then is the faithful and sensible steward, whom his master will put in charge of his servants, to give them their rations at the proper time? Blessed is that slave whom his master finds so doing when he comes. Truly I say to you that he will put him in charge of all his possessions. My goal here is to share my Bible study time. I have found that I take my personal Bible study far more seriously and diligently when I’m doing so to share it with others. In the earlier blog posts, I used the New American Standard Bible (NASB) for my studies. I’ve switched to the English Standard Version (ESV). Both solid translations and there are some other good ones. I make it a point to leverage the Bible Gateway tools and I encourage you to do likewise. I do my best to keep each post limited to 3,000 words or less; however, since this word-count includes the portions of Scripture we are studying, there will be times when we completely blow past the 3,000-word count. I’m doing a mini-critique on “Worn,” by Tenth Avenue North. Heard just a snippet on a prison documentary; enough to make my gorge rise. Tracked down the lyrics and was appalled. I’m sure it will be a good candidate for your series on bad CCM songs. I quit listening to CCM in the early 80s, so I had no idea how bad it had gotten. Indeed it is the song of one who is in desperate need of the Biblical Gospel of Jesus Christ. Works-based religion will always beat its adherents into a pulp and wear them out, including forms of “Christianity” that have lost sight of the Person and Work of Jesus Christ in our place. I’ve been thinking of reviewing that song myself, for the purpose of pointing out the trap of seeker-sensitive, works-based righteousness but the song dropped out of the top 20 charts shortly after I started our DiM posts. Just found this blog… if you don’t mind me asking, why do you believe Worn is so devoid of the gospel? The song doesn’t let the listener off the hook, there is never an articulation of the Gospel of Grace, Forgiveness, or the Promise of Eternal Life. While it’s fair to argue that Worn is a song of despair from a weary soul crying for help, that doesn’t change the fact that the song never gets around to presenting the solution, the soothing balm of the Gospel of Jesus Christ, crucified for our sin, risen from the grave, and returning on the Last Day for His Church. I did a book on contemporary worship (https://www.amazon.com/dp/1520302754) and did a comparison and analysis of three hymns vs. three contemporary songs, so I for one appreciate the work you’re doing on this front. Keep it up!